Have you ever met someone who reads a lot and learns most of their vocabulary through written word, as opposed to conversation? 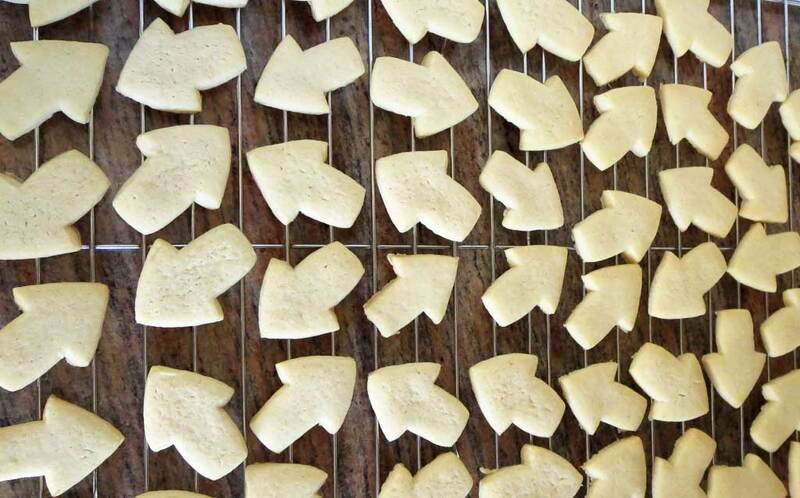 My sister is one of these people, and if you have one in your life as well, then you know these people tend to have their own unique way of pronouncing certain words. I’ve never classified myself as one of these people (mostly because I don’t know how to read), until 2014 apparently. 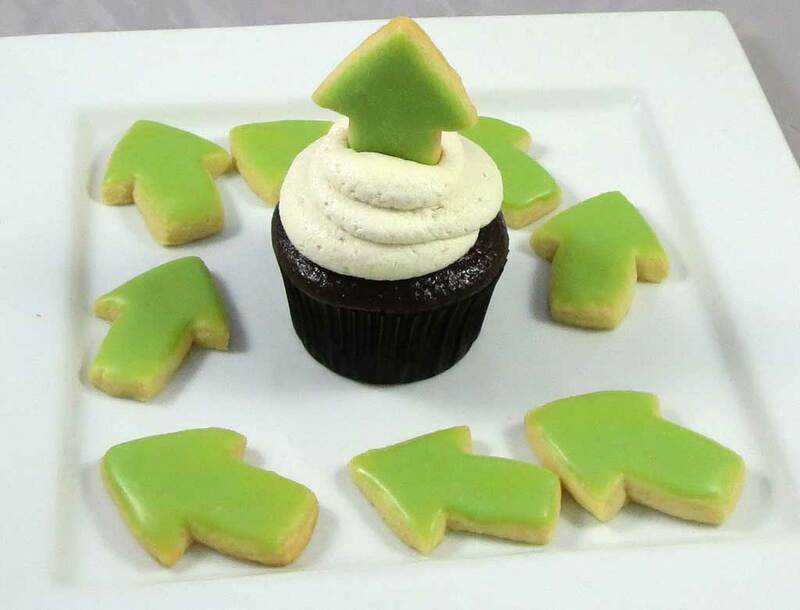 I first heard about the Imgur cupcake collaboration through a text message. I hadn’t heard of Imgur (although a week later, I realized I had been visiting the site through the Reddit awwwww section and didn’t even realize it), so naturally, I read it in whatever pronunciation made sense in my warped little mind, which was obviously Im-Grrrrr. It wasn’t until a few days ago when I was corrected by a 15 year old (of course). Now the Imguraffe part makes so much more sense! 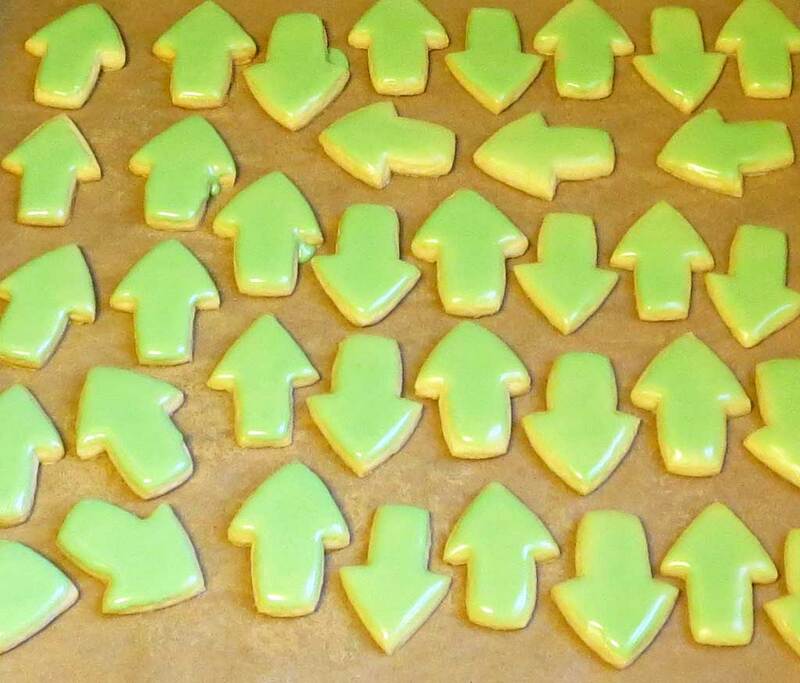 Since I happen to think that fondant tastes horrible, I decided to make the upvote arrows out of sugar cookies dipped in royal icing. 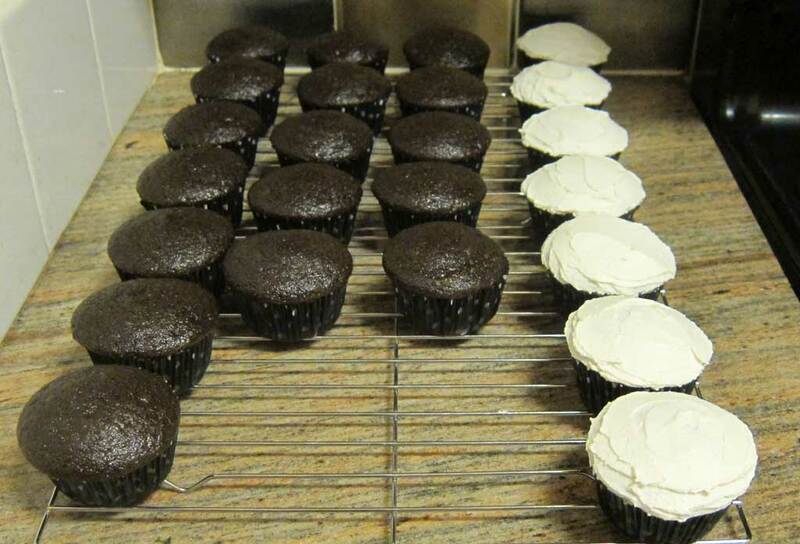 I’ll be posting the recipe soon, but here are a few pictures of the process. 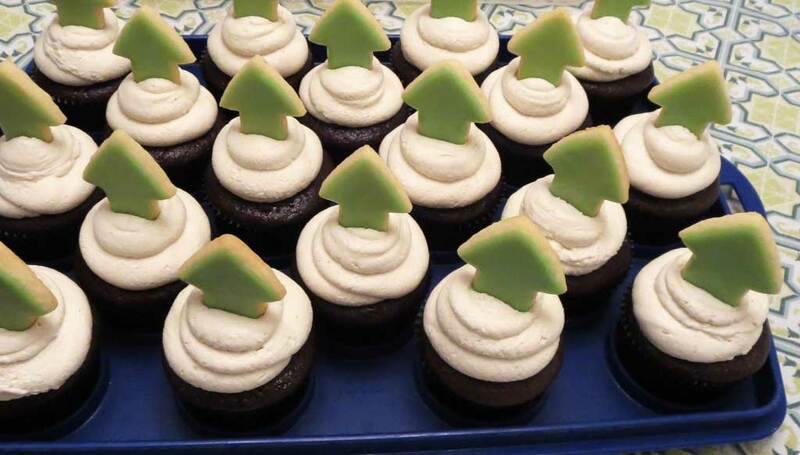 As much fun as these were to create, I think the cupcakes had even more fun on their field trip to Imgur, judging by the pictures in their blog post. 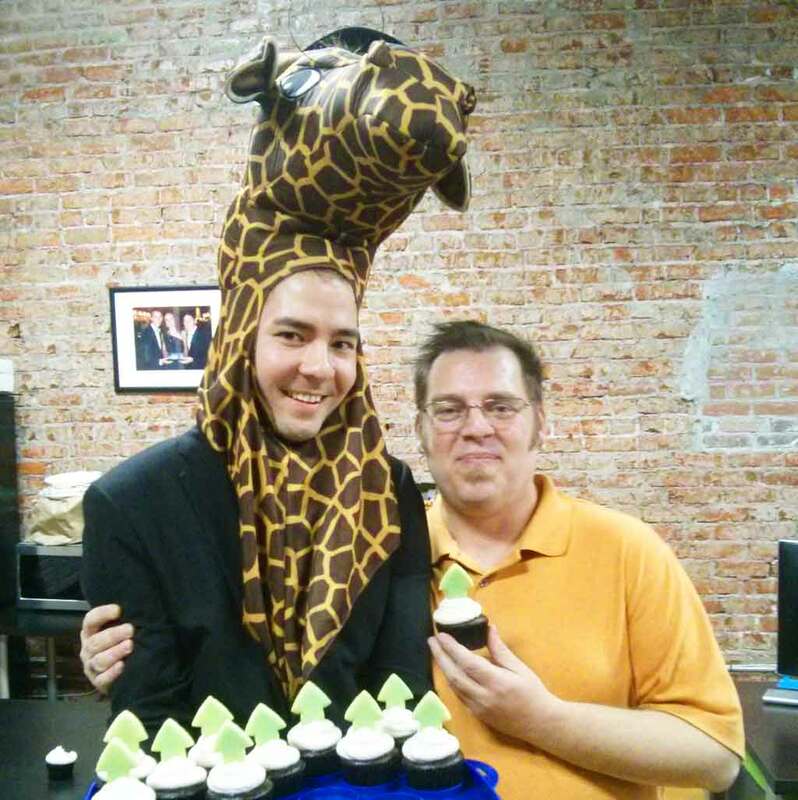 I hope that next time, I can accompany my cupcakes on their adventures…it’s been too long since I fed a giraffe.